MADNESS Autoworks presents the future of plug in throttle pedal tuning. The new MADNESS GOPedal Plus! There are countless upgrades available for your FIAT 500, why not start with something you can feel! Thousands of satisfied enthusiasts from all over the world have purchased and use the original MADNESS GOPedal. Now we are proud to introduce the next generation of Plug In Throttle Pedal Tuning. Our new Bluetooth Controlled MADNESS GOPedal Plus is here! As good as the original GOPedal is the new Plus version is even better! The original MADNESS GOPedal became one of the most popular and best reviewed product upgrades and continues to be a very popular upgrade. 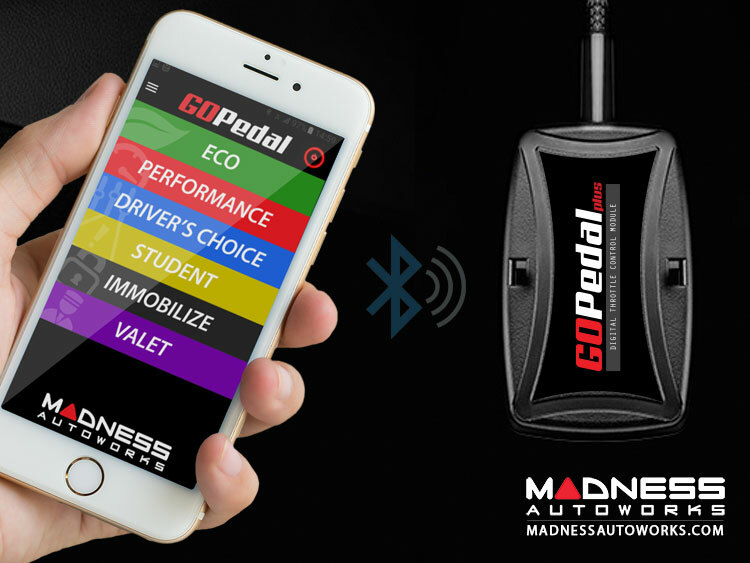 The new MADNESS GOPedal Plus takes all the things our fellow drivers loved about the original up a notch! The MADNESS GOPedal Plus is designed to reduce initial lag felt in todays drive by wire vehicles by allowing you to advance your throttle’s timing to give you a more direct response for a much improved feel. You can now connect your smartphone or tablet and be able to fully control the throttle settings on your vehicle. Increase the response of your vehicle! Limit the response when someone else is driving! Disable the pedal for security so the vehicle cannot be moved! Provide a soft pedal response for a Valet! 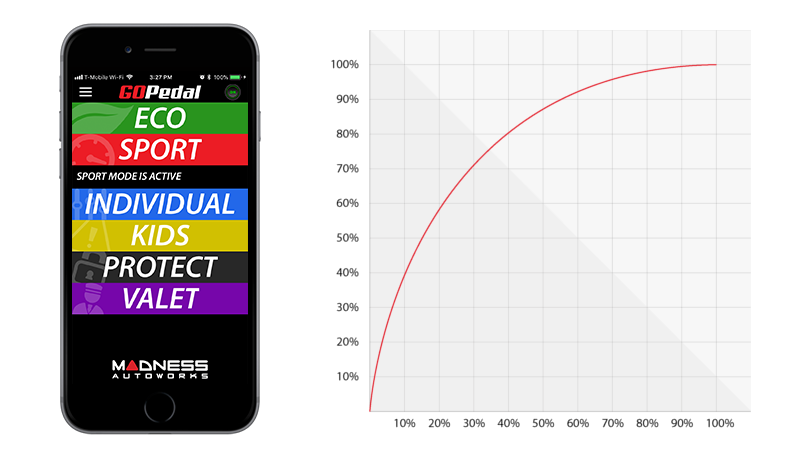 There are numerous ways on how you can now tune your throttle pedal and they can all be done remotely by your smart phone or tablet. 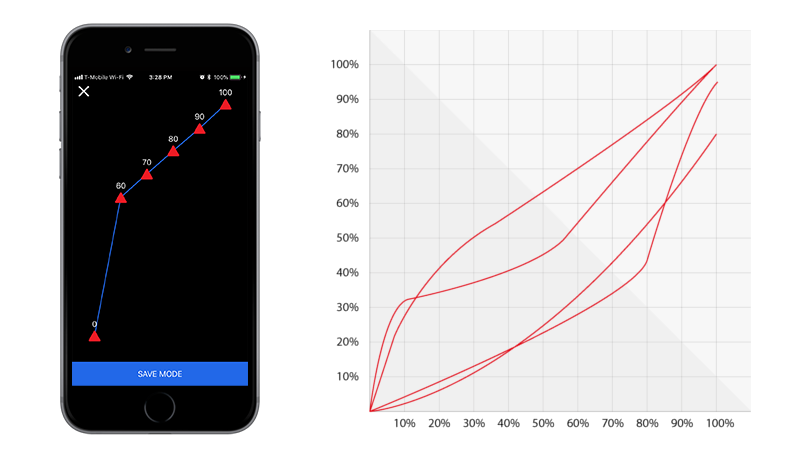 Take full control of the throttle settings on your vehicle directly from your smartphone or tablet on the fly with newly integrated Bluetooth 4.0 Technology and GOPedal App. The communication between GOPedal Plus and GOPedal App is encrypted with 128-bit AES encryption. 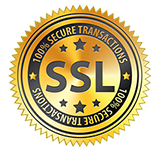 This makes it impossible for unauthorized users to access and change your settings. 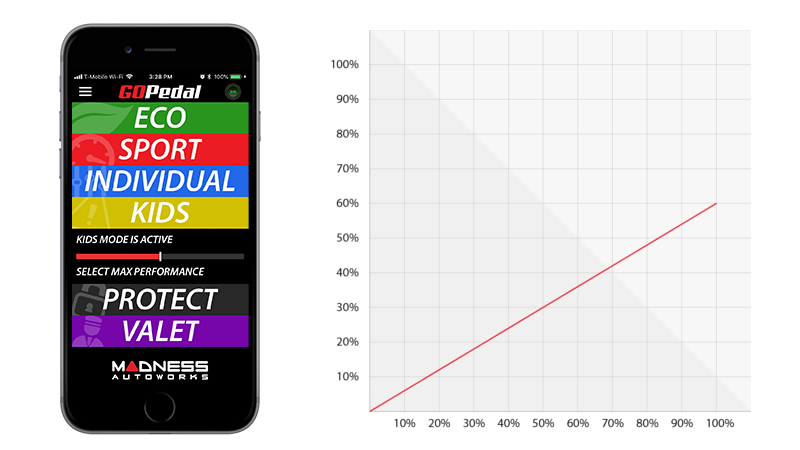 The GOPedal Plus has a built in memory function. This means that the last selected setting remains active on your GOPedal even when disconnecting your vehicle's battery. The GOPedal Plus incorporates the latest automotive self-adjusting technology to insure precise and fast signal processing. Eco not only makes soft starts easier in city traffic, it also reduces the maximum fuel consumption at full throttle. Direct response and better acceleration! The aggressive characteristic of Sport Mode provide a completely new and more direct response to your vehicle. The Kids Mode offers the ability to reduce the performance of your vehicle. With a slider, the maximum achievable power of the vehicle can be adjusted between 50% and 100%. Disable your throttle pedal and you have a built in security feature that prevents someone from driving away with your vehicle. 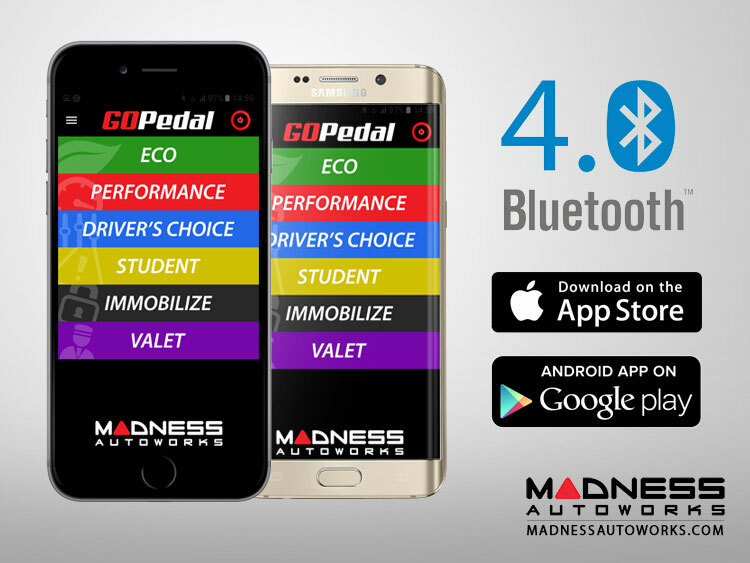 Download our MADNESS GOPedal Plus App available on Android from the Google Play Store or iOS from the Apple App Store. 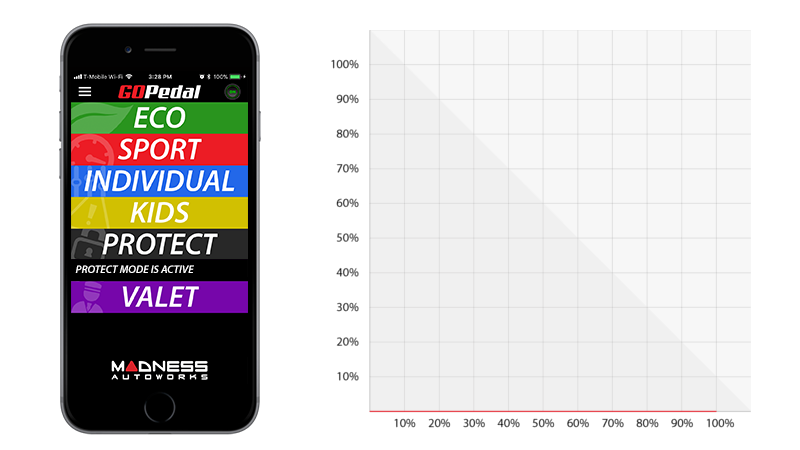 The MADNESS GOPedal Plus installs in minutes with basic tools! Pairing your MADNESS GOPedal Plus to your smartphone or tablet is extremely simple. You should be greeted with a prompt to enter a pin. The default PIN is 123456. You can change this in the app settings later. You should now have full control of your MADNESS GOPedal Plus! This is one of the only upgrades available for your FIAT 500 that comes with a 30 Day Money Back Guarantee! 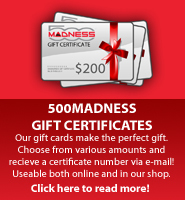 We are so confident that you will love our MADNESS GOPedal Plus for your FIAT 500 that we are giving you a 30 Day Money Back Guarantee. Try it and if you don't love it send it back for a full refund! The MADNESS GOPedal Plus also carries a 2 year warranty against malfunction! In the unlikely event of fault, simply reach out to us and if a fault is found with the GOPedal Plus a replacement will be sent to you.